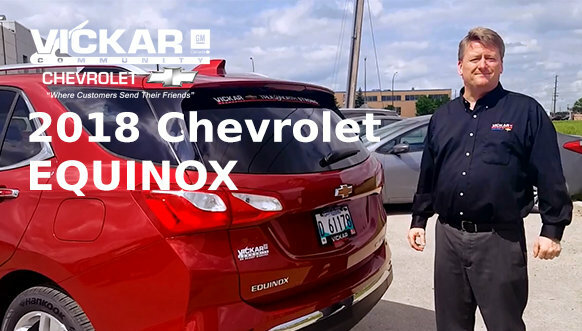 People are really excited about the 2018 Chevrolet Equinox, says Vickar Community Chevrolet sales representative Rodney Neufeld. The equipment level is higher and the price of the crossover is lower in relation to the standard equipment available, he notes. 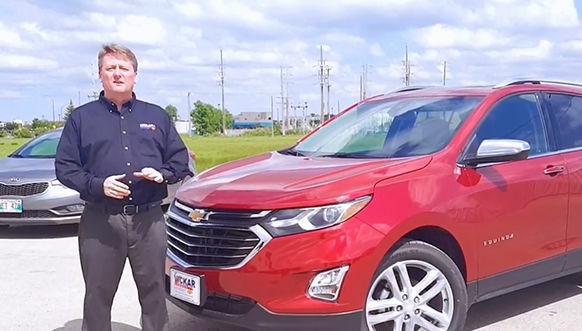 Vickar Community Chevrolet has had the third-generation Equinox in stock since late June. Neufeld points out that the model has been restyled both inside and out. As compared with its predecessor, the 2018 model is shorter and weighs about 400 pounds less which translates into a better economy. 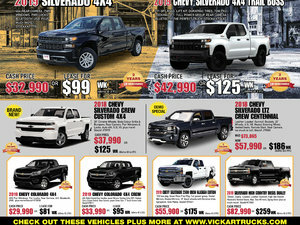 Drivers have a choice between three different engines – a 1.6 L 4-cylinder standard model, q 1.6 L 4-cylinder diesel and a 2L 4-cylinder turbo with newer 9-speed automatic transmission - which can tow up to 3,500 lbs. 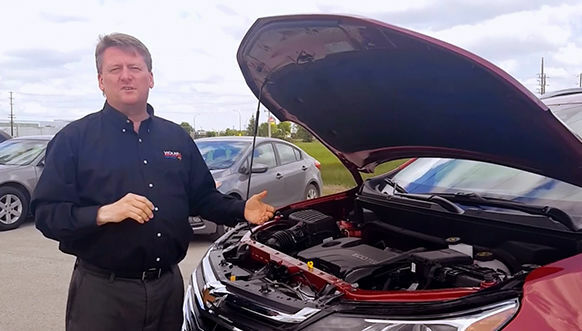 “You get a lot more power with the 2018 Equinox and better mileage,” Neufeld says. The interior is nicely laid out with a clean, refreshed look, he says. 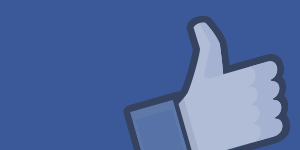 Ergonomically, he adds, the controls uncomplicated and easy to use. 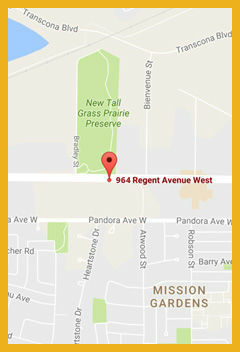 And the MyChevrolet mobile app, which allows for a great variety of remote functions, is free for the first five years. Also appealing to customers is that the back seats can be folded down flush with the tailgate to allow for easier access to storage. 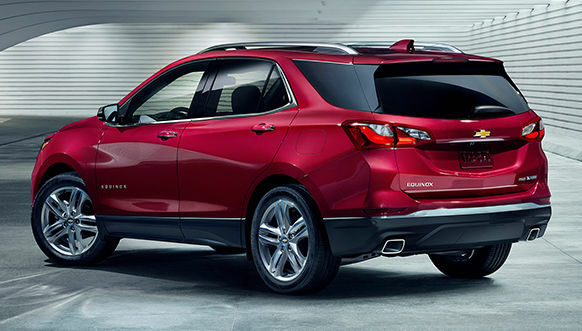 The 2018 Equinox is available in a choice of three trims. Neufeld notes that remote start and heated seats, Apple CarPlay and Android Auto are standard features on all trims. Added standard features for the LT and Premier editions include Chevrolet MyLink Audio system with 7” diagonal touchscreen, cruise and noise control, rear vision camera and theft alert to cite a few. The Premier model also features a 360-degree camera, panoramic sunroof and LED daytime running lights. Call Vickar Community Chevrolet today at 204 661-8391 to arrange to come in and test drive the 2018 Equinox.